Sailors from Europe, Russia, and North America raced DN iceboats in an annual regatta held on Siberia’s Lake Baikal last week. North American IDNIYRA member Chris Berger US5166 of Chicago, IL won the Baikal Cup on Friday, March 24. CBS national news has been running footage from the regatta. Even the Olympic Channel has noticed DN iceboat racing! If you’ve stopped by to learn more about ice sailing and want to try it, read our “Getting Started” page. Don’t hesitate to contact us with questions. 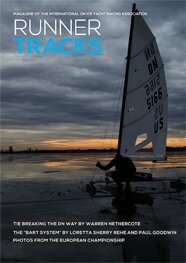 Join us in “Thinking Ice” and sailing the coolest boats on the planet.